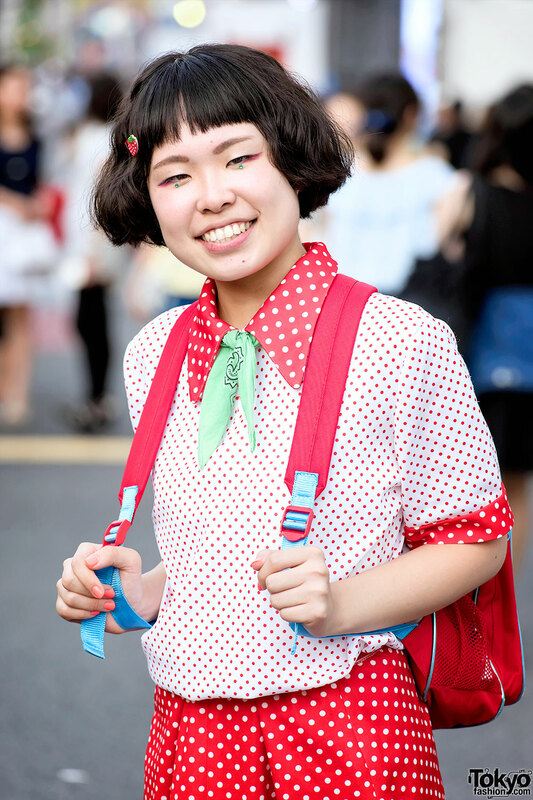 Sasakure is a friendly 19-year-old college student who we often see around the streets of Harajuku. 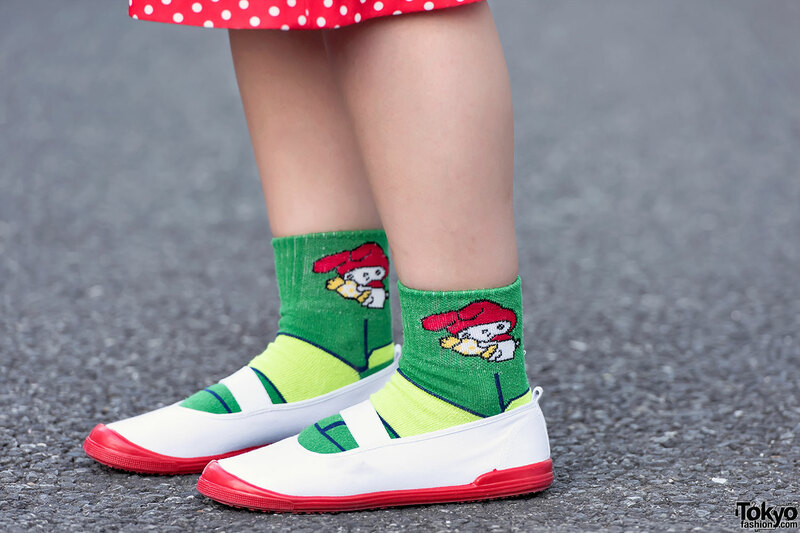 Her look features a resale polka dot shirt with a resale polka dot midi skirt, My Melody socks, and shoes that she picked up at The Shoes. 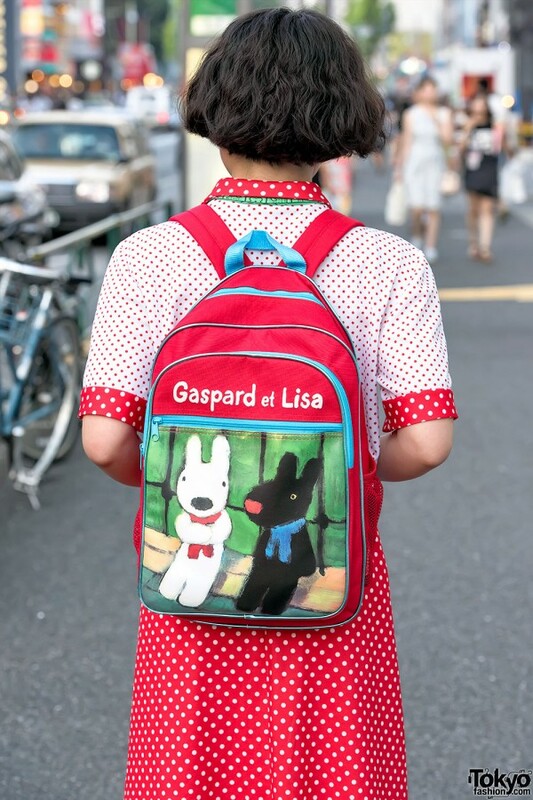 Accessories include eye jewels, a strawberry hair clip, a green bandana, and a Gaspard & Lisa backpack. Sasakure’s told us that she likes the popular Harajuku resale shop Kinji. Find Sasakure on Instagram or Twitter for more pictures.